The Palfinger UK team was delighted to hand over one of two new crane builds in January to long-standing customer, Gibsons of Kendal. 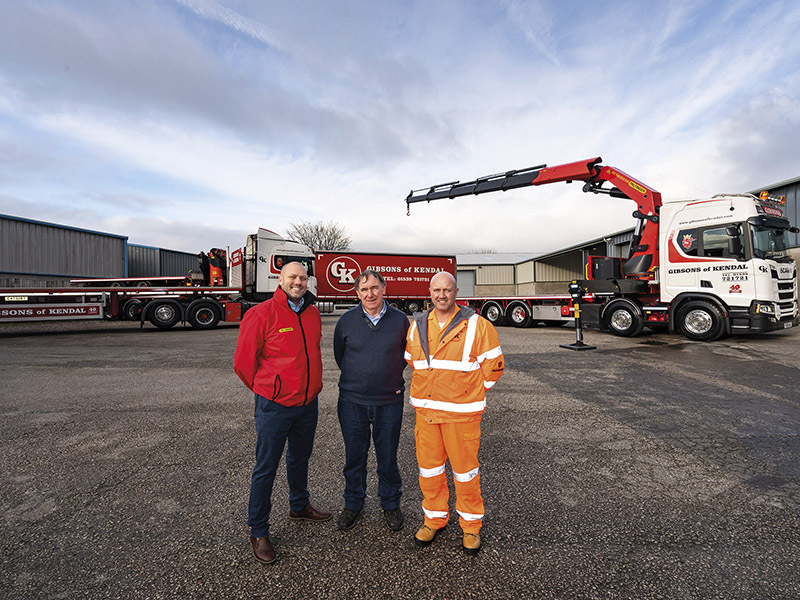 Representing a major investment for the family-run Gibsons business, the latest delivery comprises a Palfinger PK 78002 SH D crane with flatbed body, mounted on a new generation Scania R500 8×2 truck. 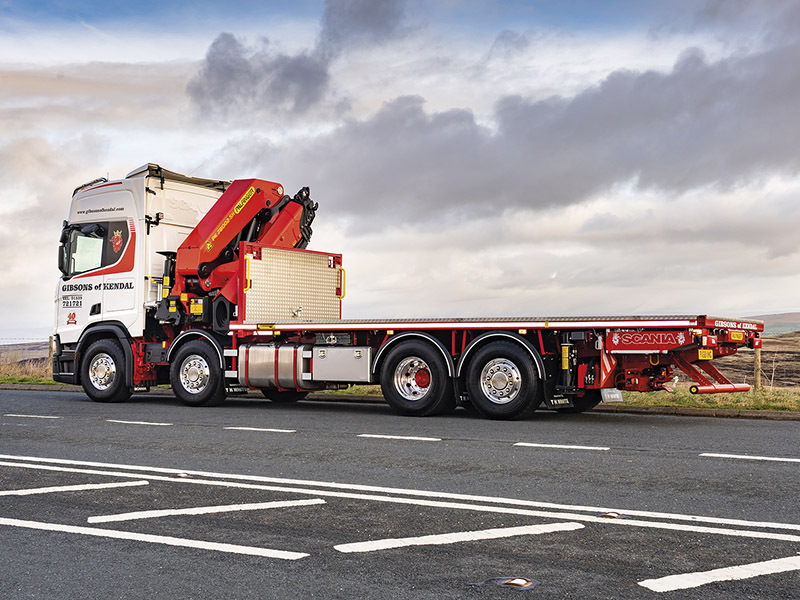 This is the ninth Palfinger crane for Gibsons, with a second, identical truck due in Summer 2019, taking Gibsons into double figures with Palfinger. Gibsons specialises in large haulage services in the UK, with a modern fleet of vehicles to perform a wide variety of tasks. As well as celebrating the delivery of the new vehicle, Gibsons are proud to be commemorating the 40th anniversary of their business this year. The build comes with Palfinger’s High Performance Stability Control (HPSC) system. Sensors for proportional path measurement are placed in the stabilisers, making their positioning fully variable and enabling quick calculation of all permissible working ranges for any slewing angle and stabiliser position. 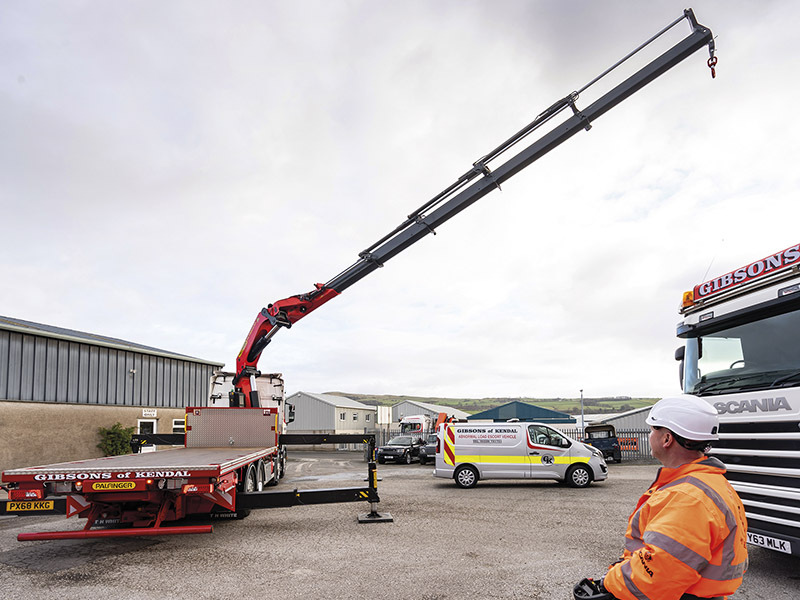 This ensures maximum flexibility and productivity when the crane is in use, with the widest possible working range and maximum lifting capacity, as well as increased safety for all involved.